Every year, as summer rolls around, we give you the list of our favorite reads of the year so far. 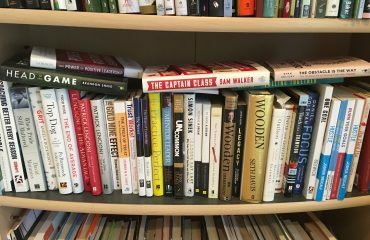 Between Memorial Day, Fathers Day, and that upcoming vacation I hope you are taking, it’s a great time to catch up on some reading. 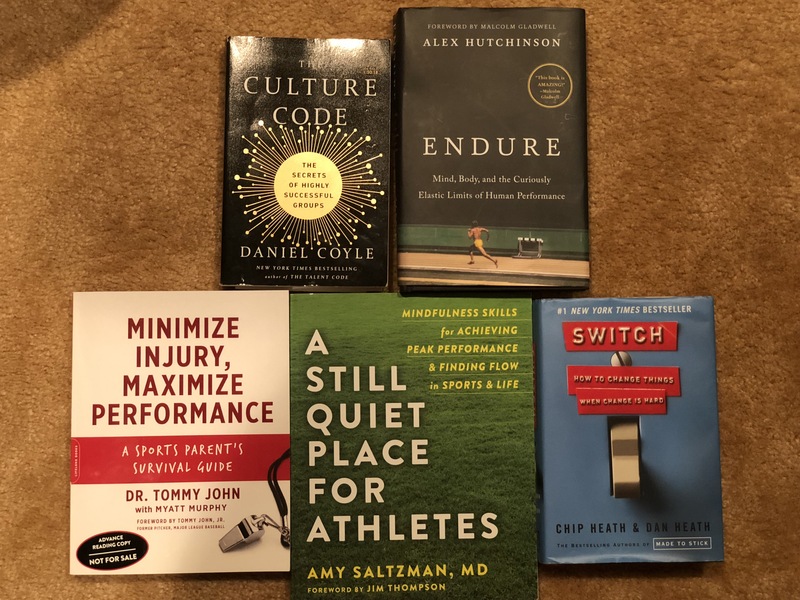 There have been some great new books that have come out in 2018, plus one older book that is well worth a read (or a second one) in order to be at the top of your game as a parent, coach, and athlete. Enjoy, and down below, please share any we may have missed. Yes, I know this was my favorite book of 2017, but technically it did not come out until the end of January, 2018, so it makes the list again. Plus, it is just so good that it is worth reading again and gifting to others you know. We just interviewed the author Dan Coyle on our podcast, and we touched on many of the highlights from this book, such as the four most important words a leader can say (“I screwed that up”), how San Antonio Spurs Coach Gregg Popovich motivates and inspires his players, and so much more. You will learn from the Navy Seals, as well as from top business minds, researchers, psychologists and others, and you will be better at leading the teams you are a part of, whether they are sports teams, work teams, or simply your family. Coyle is a great writer and storyteller who took 10 years to research and write this book, and if you are like me, you will find it hard to put this one down! While this is a business book, it is a great read for coaches, as we are servant leaders first and foremost, and our boardroom happens to be a locker room. This is a collection of short stories about what it means to be a servant leader, from business luminaries such as John Maxwell, Brene Brown, Simon Sinek, Jon Gordon, Ken Blanchard, and many others. I got so many great examples of how to lead effectively and create great team culture from this book, and because the stories are only 3-5 pages each, you can get through it in short stints. If you want to learn how vulnerability, compassion, strength, humility and many other qualities allow you to serve your athletes better, check out this great book. 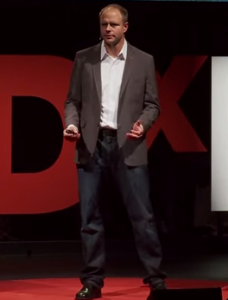 The next frontier in gaining an athletic edge is mastering the mental game. Pros are increasingly using this type of training, as are college and even some high school teams. This book is the best guide for understanding mindfulness and meditation for athletes that I have seen in a while. It provides simple explanations, but more importantly, easy to follow exercises and instructions to incorporate mindfulness into any sport. Even if you are a parent trying to incorporate some mindfulness and a little less stress in your life, this is worth getting. This book is written by the son of the former Major League pitcher Tommy John, a doctor of Chiropractic medicine and a highly sought-after specialist in movement and injury rehabilitation. His father was a great pitcher, but is also famous because of the revolutionary elbow surgery named after him and now seen in far too many young baseball players. Dr. John provides a great guide about the need for functional movement training, rest, and athletic development in all our young athletes. He is tired of seeing so-called “elite” athletes who cannot balance on one foot or perform simple movements because they have trained sport specific skills without becoming athletes first. He provides a great prescription for movement, diet, and other exercises that will help your athletes stay healthy and perform better. The Heath Brothers are fantastic storytellers and researchers who make complex ideas simple for the layperson like me. 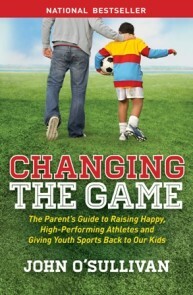 As we are in the movement making business, and I know many of you want to make changes in your clubs and schools so that sports can be a better experience for your kids, this book is a must-read. Originally published in 2010, I reread this book in January and I have found myself quoting it all the time. It provides great advice on how to change behavior, as we cannot simply appeal to the rational mind. We must provide a pathway, and we must appeal to people’s emotions too. If you want to get a great framework for how to drive change in your community, read Switch! Thanks everyone, have you read any recently published books that you think we should add to the list? If so, please leave a comment below. Also, if you have missed any of our past book review articles, click here to check out all of our recommended resources.